Using APKPure App to upgrade Dragon Village 2 - Dragon Collection RPG, install xapk, fast, free and save your internet data. Collect, train and evolve dragons to become the BEST dragon tamer! ▣ Over 300+ dragons each with distinctive characteristics you can collect and tame! ▣ Evolve your dragons through 5 stages! 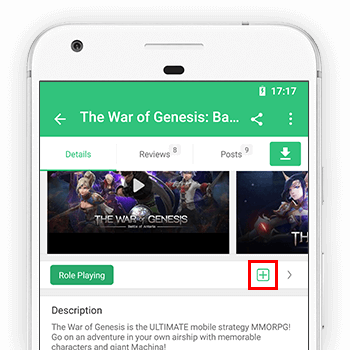 ▣ Engaging stories, quests and missions with various allies and rivals! ▣ New dragons released every month! ▣ Battle against thousands of other users AND your friends' dragons! •	YOU are the hope of Dragon Village! Save the future of Utahkhan, the land of dragon tamers, against powerful enemies who want to destroy the world. Exciting adventures and challenging missions await you. Are you ready to become a dragon tamer? •	Collect numerous dragons and evolve them to become the most powerful dragon tamer! Dragons are classified into element types such as fire, ground, wind, water, light, darkness, and more! Each dragon has distinctive skill set that it can use and unique ATK/DEF/HP stats. •	Strategize your own combinations to test your dragons against various enemies and other users’ dragons! Dragon Village 2’s PVP system (Colosseum) includes 1v1, 3v3 , and tournament mode which means preparing your squad of dragons to be optimized for each type of battle is essential for your victory. Tamers with strategy and preparation will grab the victory! Your efforts and results will be rewarded with great benefits and items! •	You are not alone in Dragon Village 2. Many friends and supporters will be by your side to help you throughout the game. But there also will be enemies and rivals who will endanger Utahkhan and threaten your friends! Unveil the evil plans of your enemies and stop them to protect your friends through countless missions and quests as you battle your way through with your dragons! Your friends and allies will reward you with gold and diamonds for your help. Come and join! Your first dragon is waiting for you. Let the adventure begin! Hundreds of Dragon Village 2 users come to share information and talk about Dragon Village! **Items may be purchased outside of the game with In App Billing through the use of real life money. According to Consumer Protection Act all transaction cancellations can be restricted. Please e-mail for further details. Please contact "support@highbrow-inc.com" regarding any game related issues with your game ID, Nickname, device model specification.